We’ve heard rumors that Apple may include an all new A6 quad-core processor in its upcoming iPad 3, but the validity of such reports have recently been called into question. While an upgraded camera and Retina-like display are all but certainties at this point, the processor still remains a mystery, with conflicting reports hitting seemingly every week. However, new evidence suggests we may see an A6 chip after all, but when, and in what, is now the big question. 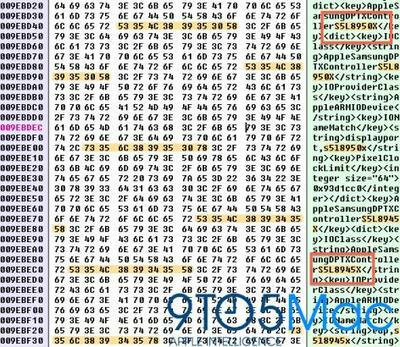 9to5 Mac has dug up what is believed to be a reference to Apple’s A6 chip in the latest iOS 5.1 beta. In fact, there’s also a reference to an A5X chip as well, meaning that Apple has potentially been hard at work developing two separate processors. Buried deep inside the code, designations are as follows: A4 is S5L8930X; A5 is S5L8940X; A5X is S5L8945X and the newest A6 jumps up to S5L8950X. Could this mean, against Steve Jobs’ wishes, that Apple is preparing two separate iPads this year? While a smaller iteration of the popular tablet is unlikely, the rumor just won’t die. With the purported March 7 announcement date pretty darn close, we’re in the home stretch for iPad rumors and leaks. Hopefully all the A5X/A6 information will be cleared up soon.